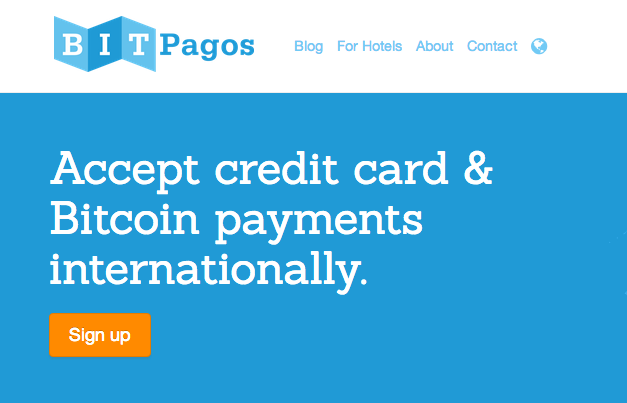 Argentina and Palo Alto-based bitcoin merchant processing service BitPagos has announced its first seed funding round, raising $600,000 from a list of investors that includes Pantera Capital, venture capitalist Tim Draper, SecondMarket CEO Barry Silbert and the Boost Bitcoin Fund, among others. BitPagos emerged out of the Boost VC accelerator in 2013 and raised more than $150,000 during its first year of operations. Unlike US merchant processors such as Coinbase or BitPay, BitPagos allows users to sell bolivars or pesos for bitcoin, as opposed to converting their bitcoin earnings into fiat currency. BitPagos CEO Sebastian Serrano framed the latest funding round as one that will help the growing company expand its business beyond Argentina’s fast-growing market. Paul Veradittakit, senior venture associate at Pantera Capital, echoed this sentiment, stating: “BitPagos provides stability and efficiency where merchants face high credit card fees and inflation”. Others investors in the round include 8capita, Latin America-based firms South Ventures and NXTP Labs, as well as several unnamed angel investors. Though Serrano noted that his firm is already processing $150,000 in fiat-to-bitcoin transactions per month, he is ambitious that this total will increase soon, adding that he “would like to get to $1m monthly in the coming months”. Still, Serrano acknowledged that educating Latin American merchants about the benefits of bitcoin remains a challenge, one that isn’t as easy as it is in more tech-savvy markets like the US. Of course, for BitPagos, expanding will mean signing up new merchants and building out its presence in countries such as Brazil, Chile and Ecuador, while adding new clients in other areas. One reason is that Serrano believes bitcoin’s core value proposition is appealing to local merchants, as he says it gives them a way to hedge against inflation, makes cross-border payments easier and increases the flexibility by which they can move money. The latest funding is particularly noteworthy in the context of recent developments in Argentina – which has seen rapid uptake in bitcoin use – and Latin America. In recent weeks, payments processor AstroPay launched the region’s first Ripple gateway, while Latin America-focused bitcoin exchange Bitex.la raised $2m in funding to improve access to the digital currency by enabling fiat buying. In light of this news, Serrano is still cautiously optimistic about the future and the role the region will play in wider bitcoin adoption. He concluded: “I think it’s a big time, but the ecosystem is still learning what works and what doesn’t in Latin America”.